For lawn and yard. Do not spray directly on pets. ELIMINATES ODORS from such places as Dog Runs, Grass, Gravel & Concrete, Patios, and Fences. 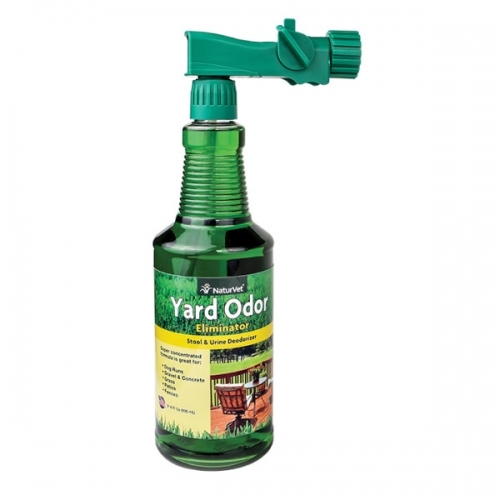 Yard Odor Eliminator helps eliminate stool and urine odors. Spray on any outdoor surface. For use on grass, plants, shrubs, patios, patio furniture, kennels, dog runs, swing sets, fences, block walls or any other surface where odors arise due to pets. 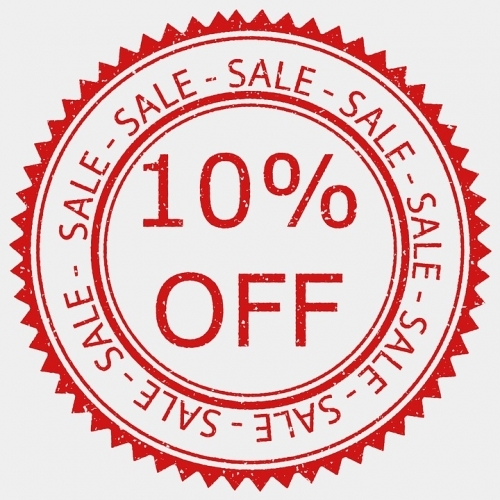 If spraying on fabric, test product on a very small inconspicuous surface area before using. For lawn and yard. Do not spray directly on pets. 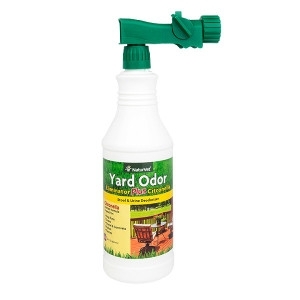 ELIMINATES ODORS from such places as Dog Runs, Grass, Gravel & Concrete, Patios, and Fences. 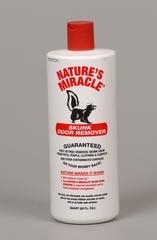 Nature's Miracle Stain and Odor Remover is guaranteed to eliminate all stain and odors from pet accidents permanently. 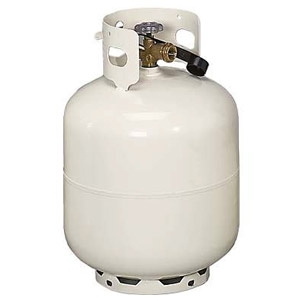 It is safe for use around children and pets because it is non-toxic, non-flammable, non-caustic and non-acid. It contains enzymes that nature uses to rid organic debris from the surface of the Earth. 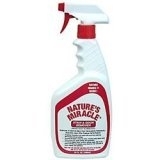 Nature's Miracle 1.5 Gallon Power Sprayer gives 50% more Nature's Miracle at only about 20% increase in price. The power sprayer comes with the batteries so all you have to do is point and shoot. No tired trigger finger! 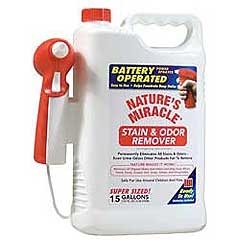 Guaranteed to permanently eliminate all stains and odors. Even urine odors other products failed to remove. 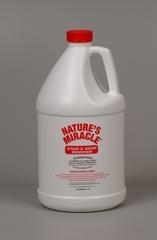 Removes all organic stains and odors including foods, blood, vomit, feces, grease, dirt, grass, smoke and perspiration. 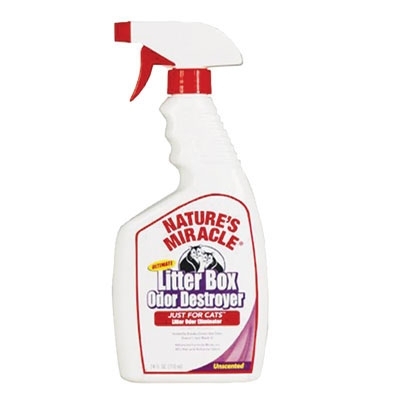 The odor-lock technology in our Nature&#39;s Miracle Odor Destroyer eliminates even the toughest litter box odors on contact. Get rid of those unwanted litter box odors! Unscented.